Former Egyptian President appears in successor Mohammed Morsi's trial, but asks current President for permission to testify. Egypt's deposed president Hosni Mubarak on Wednesday asked current President Abdel Fattah al-Sisi for "permission" to disclose sensitive information in the retrial of ousted Islamist leader Mohamed Morsi, AFP reported. Mubarak, who was toppled in 2011 after mass protests against his rule, took the witness stand in a Cairo court to testify about jailbreaks allegedly orchestrated by Morsi and other members of his Muslim Brotherhood group during the uprising. Morsi was eventually elected as president to replace Mubarak, before being ousted himself in 2013 amid mass protests against his rule. In 2016, Egypt's highest court overturned the death penalty to which Morsi and five other leaders of the Muslim Brotherhood were sentenced for their roles in organizing the mass prison break at the Wadi Natroun prison in 2011. Prosecutors say Morsi and his supporters were assisted by Hamas and Hezbollah in organizing the prison break. 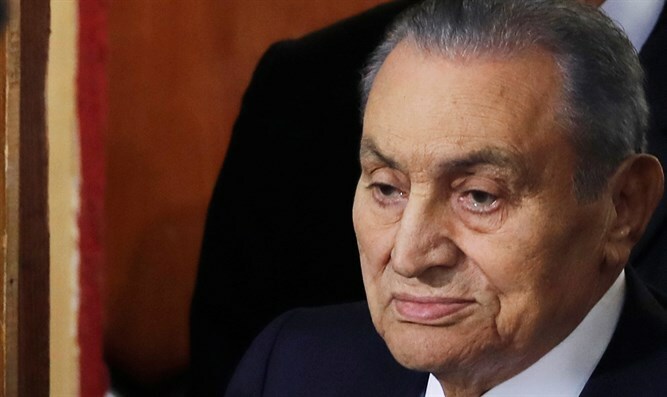 In sworn testimony on Wednesday, Mubarak declined to answer all of the judge's questions until the presidency granted him "permission" to reveal "sensitive" information related to national security. "If I talk, I will open many subjects that I am barred from discussing without permission," he said, according to AFP. The former president acknowledged that at the time, he had received information from his intelligence chief on the infiltration of terrorists from Gaza to the country's east during the uprising. "General Omar Suleiman informed me on January 29 (2011) that 800 armed militants infiltrated through the border," he said, adding that terrorists from Hamas, assisted by North Sinai residents, used underground tunnels to cross. Morsi has already been sentenced to a total of 45 years in prison in various trials. Last December, he was sentenced to three years in prison for "insulting the judiciary". Mubarak himself was imprisoned for a lengthy period of time following his ouster. However, he was acquitted in March of 2017 of charges of killing protesters during the 2011 revolution and subsequently set free.